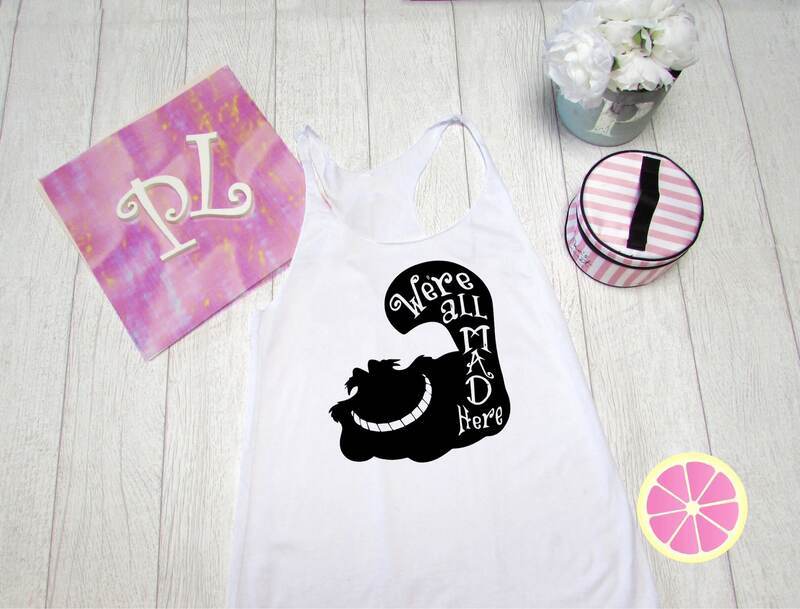 Disney tank top.Cheshire Cat tank top . 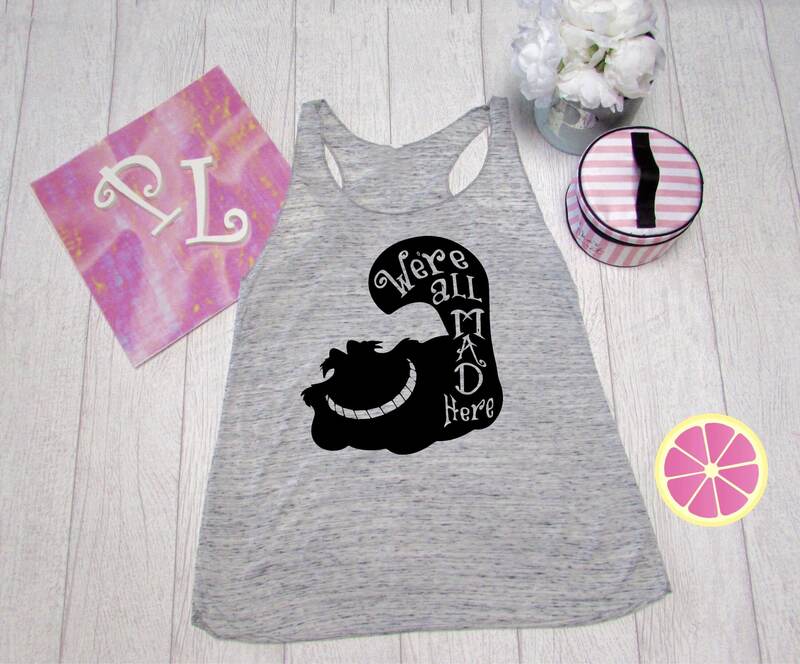 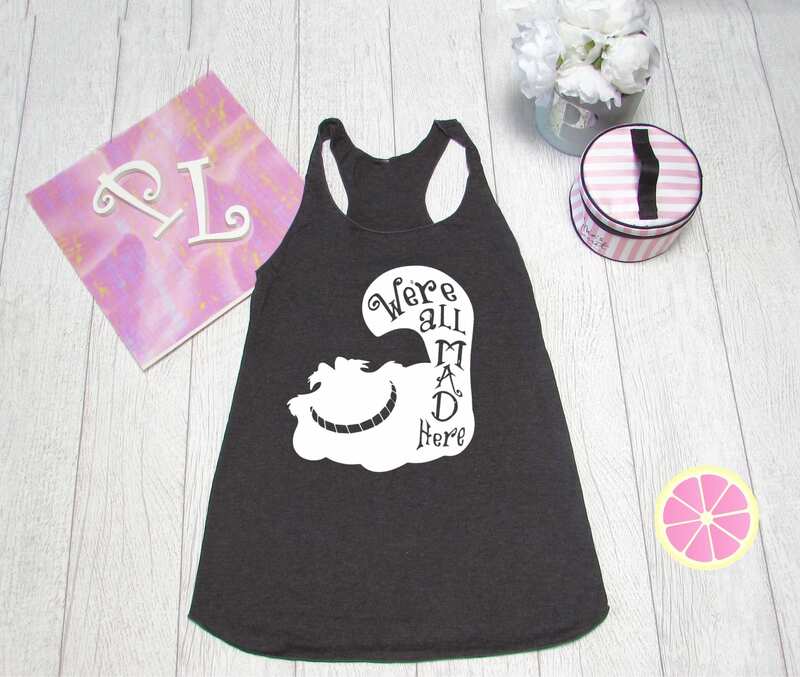 Alice in wonderland Racerback tank top. 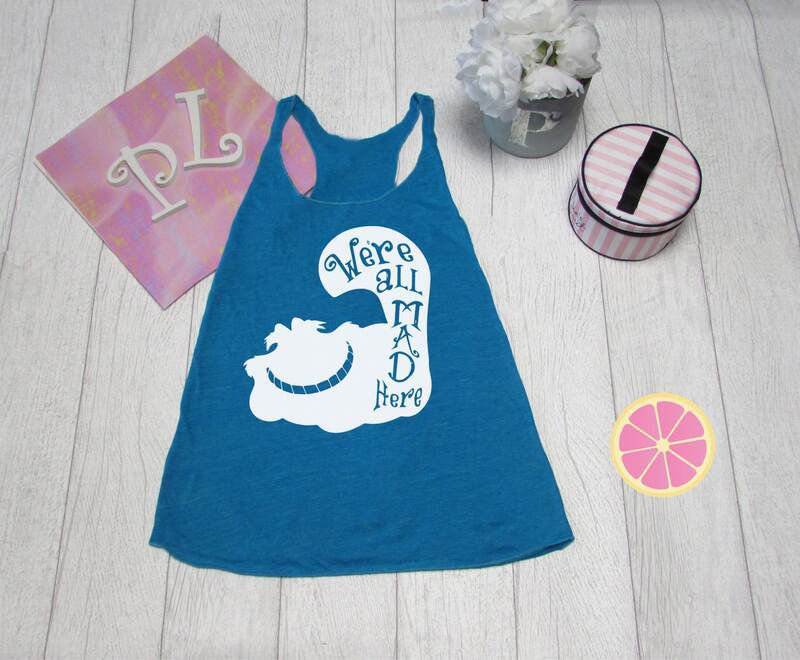 Made by Pinklemonadeapparel. 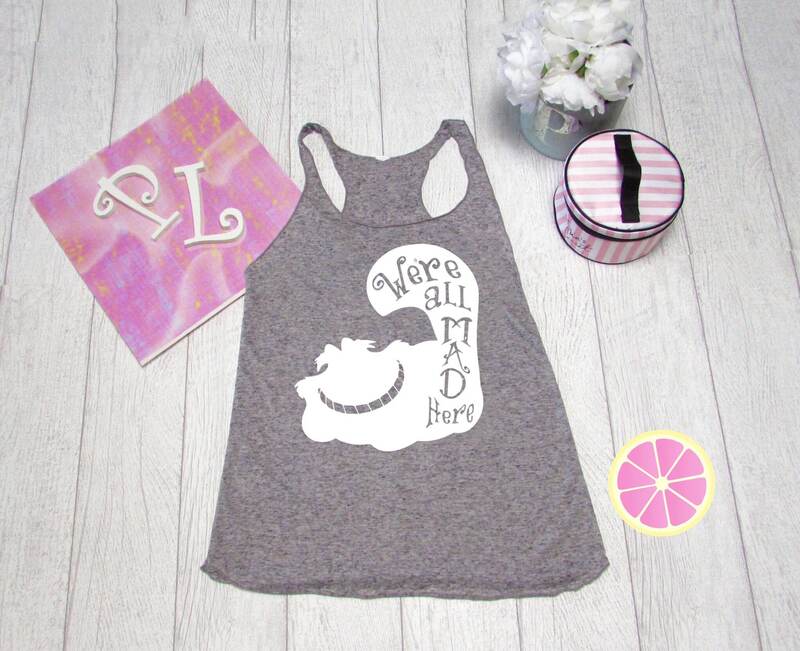 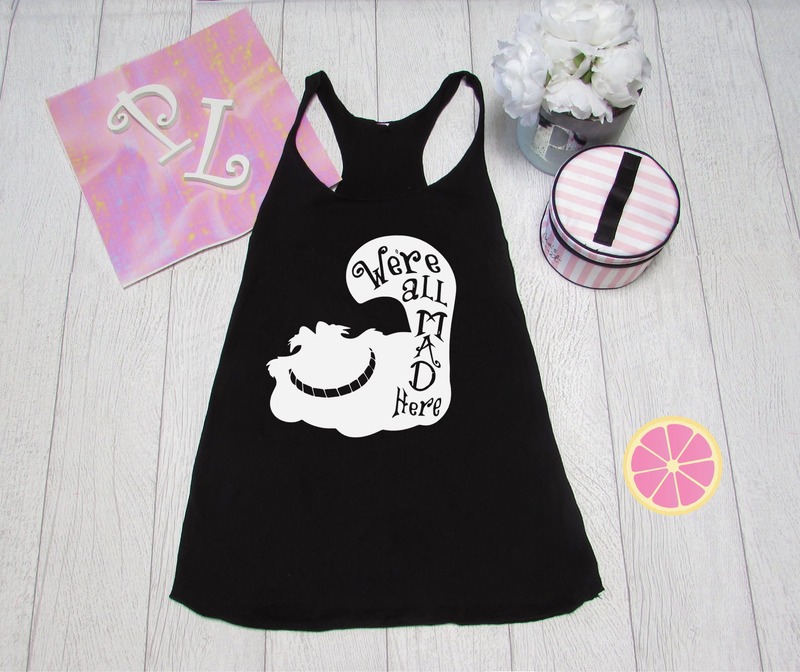 Alice in wonderland Cat racerback tank top made by Pink Lemonade Apparel.